Last week, I was reading a post from another "edgy" Christian, someone who, in the past, has said some difficult, but important things for the Church to hear. Like so many others, I discovered that this person seems to be slipping over the edge into something that can no longer be identified as Christian. Now before I go on, I really want to make it clear that I'm not trying to simply pass judgement on these individuals or that I am taking lightly the pain and suffering and injustice that many have gone through. I'm just really sad. My heart grieves over the loss of another potentially influential voice desperately needed in the Church today. These writers and artists that I’m referring to, forced believers to examine their belief system, forced them to examine and, at times, deconstruct their worldview. I think that is needed and encouraged. Being a Christian is defined as someone who follows Christ and lives as He lived, not someone who goes to church on Sunday. In a country where the Church still has much influence and power, it is a good thing to have these prophetic voices call out to us and tell us when we’re out of line. The current social/political climate has done little to nothing to glorify the name of Jesus. There is one side of the Evangelical spectrum fighting against injustice and inequality in all its forms, racial, gender, social, etc. – something that the Church should champion. At the same time, there is another side fighting for the rights of the unborn and doing their best to stand guard in a society whose moral base is rapidly eroding under its feet. Both of these sides – in the eyes of an unbelieving, non-churched culture – are at odds with one another (specifically going against what Jesus himself prayed for in John 17). For many of these influencers that I referred to, their path started out in the right direction, but in my humble opinion, they’ve lost their way. I don’t know if they’ve become misguided because of their way of looking at things. For instance, did their intention to deconstruct their worldview take them too far? (In a sense, did they destroy the foundation of their beliefs as well as the building that was sitting on top of it?) Or as they gained influence and popularity, did they feel less and less comfortable in confronting sin, as it is defined biblically? Or maybe they themselves, in an attempt to explain their own pain and suffering, simply abandon the faith that they had clung to? Whatever the reason to coming to this conclusion, the response has been the same – a lashing out against or abandoning altogether the Church (or at least Evangelical Christianity as they define it). I’m saddened for two reasons. The first: the loss and grief that I feel over their conclusions. I have been affected and positively influenced by their books and music over the years. They have been so formative to my faith. They forced me to ask questions that I didn’t want to ask. They forced me to explain why I did what I did – and to go deeper than, “Because the pastor said so…” They forced me to re-examine the Bible so that I could really weave it into the fabric of who I am. While doing all of this, though, I have felt the amazing grace of Jesus act as an anchor to my little boat of life. He has secured me in place through the storms that threaten to destroy me. I see it as though these cherished people have chosen to cut their anchors when things got shaky, and now I grieve as I see them being swept out to sea. The second: I fear that we’ve not seen the last. While, I’ve been referring to anonymous writers and artists, I’ve also seen close friends walk down this path. I fear that other believers and followers of Christ will cede to the temptation of cutting ties with Him and with the Word because they feel it is no longer relevant or expedient. I fear that they will try to interpret their actions through redefining scripture. How do followers of Jesus respond to a culture that is moving farther and farther away from a biblical worldview? How can we respond in love and compassion to the LGBT movement while still addressing the sin issue? How can we call out our leaders – who claim to read the Bible – and confront their immorality without using the end to justify the means? I am convinced that the answer is not found in redefining or recontextualizing the Bible in order to adapt to our society. This culture is fluid. It will change again. I am convinced that the answer is found through the transforming message and power of Jesus – the one that we can find clearly in the Bible. He was a radical influence in His society. He called for social change. He forced people to re-examine their belief-system. In the end, however, He was the answer. He TRANSFORMED society. Jesus is the anchor that will help us weather the temporary storms that surround us. He will be there no matter which direction the wind blows. I want to urge my friends and family (who follow Jesus) to think about their faith. We MUST respond to the difficult issues in our society. We can’t sit on the sidelines and do nothing. But the answer is not to cut ties. The answer is not to seek out what others are saying about any given topic. The answer is to dig deeper. To stay closer to Jesus. To pray. To study the Word. To look more like Him. Current Projects 2017 - UPDATED! 1) Increasing Monthly Support by 30% - What does this mean, and why do we need it? When we arrived in France with came with a significant reserve that we used to supplement our monthly income. Over the past two years (the time that we planned from the beginning), that reserve is almost gone. Living in France is expensive and we simply need to augment our current monthly support by 30%. 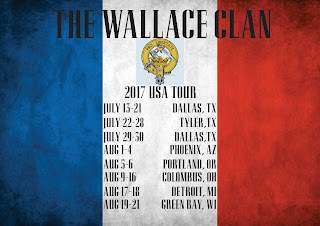 2) The Wallace Clan US Tour 2017 - What does this mean, and what does it include? As much as we'd love to come back home more often, the cost is prohibitive to fly the entire Clan back and forth to the US. So with that in mind, we have held off our return until this summer. We'd love to stay longer and have the opportunity to visit everybody, but we really want to keep the kids on schedule with their school, which ends at the beginning of July and starts around September 1st. We know God has called us to France, but He has also asked to us share with the Church. 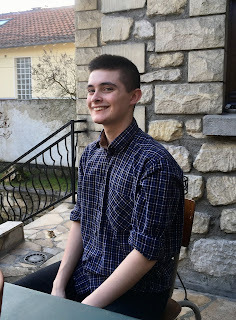 We are excited to tell as many people as possible the way He is currently working in France, and we are just as passionate to share about the needs here. Our goal is to raise $10,000 by June 1st for this trip home. This includes: passport renewals (for all 6 of the Clan), international airfare, a domestic flight (for one person), meals, hotels and fuel for the road, and a few incidentals. So far, we have raised about $2000 for the project, but we need your help. We just received a gift that will enable us to renew our passports - a major answer to prayer! 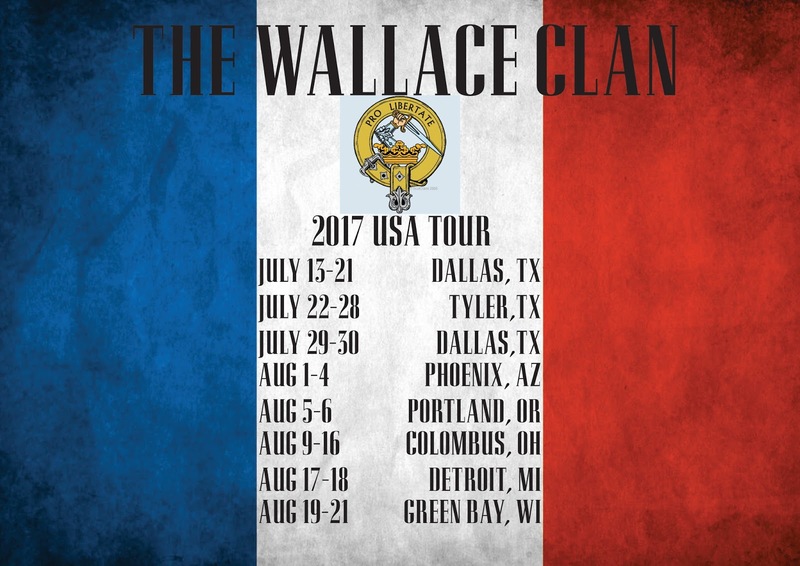 3) The Wallace Children Integration Program - What on earth does this mean? A big part of our "ministry" here is the daily life that all of us live. Taking kids to school, volunteering for an outing, getting involved in after school programs or sports, etc. We have had multiple opportunities to meet with parents and our children's friends through getting involved in these activities. We also want our kids to truly feel at home here. The language and cultural transition is already difficult, but slowly and surely, they are making their way. A big part of this project is the purchase of a vehicle. For the last two years, we have been privileged to be able to use the OM France Minibus, but it is really time for us to be able to get a vehicle of our own. It has been one of our prayer subjects since our arrival, and we believe that this will be a great benefit to the whole family. The result to a huge answer to prayer is that we received a vehicle!! There are still some costs to import the vehicle to France (from Germany) and to register it here, but Thank God for the generosity of a former OM family! The other aspects of this project include registration in the different activities for the kids throughout the year - music lessons, sports, etc. - and a budget for clothing for the kids. We thrive on hand-me-downs, but it is difficult to depend on nothing but those items to clothe ALL the kids. Our total goal for this project is $5000. 1. Pray - First and foremost, we understand that God provides. He uses people and different methods, but He is the source. Pray that He will open doors and lead people to give. 2. Give - After you've prayed, ask if you feel God is leading you to give. 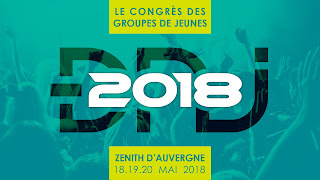 If you feel led to be a partner in our ministry in France, you can give by clicking one of the following links. Our goal is to raise $10,000 by June 1st for this trip home. This includes: passport renewals (for all 6 of the Clan), international airfare, a domestic flight (for one person), meals, hotels and fuel for the road, and a few incidentals. So far, we have raised about $1000 for the project, but we need your help. Our total goal for this project is $12,000.